Drill cuttings dumped at the Wetzel County landfill in West Virginia. The shale gas boom began to echo throughout West Virginia in 2008. Not much was known about drilling then and many drillers were permitted to simply bury drill cuttings on site. Remediation specialist for the environmental consulting firm Downstream Strategies, Marc Glass, says mounting evidence tells us those sites need to be cleaned up. Communications Director at the DEP, Kelley Gillenwater reports, "no remediation of drilling sites has been deemed necessary due to drill cuttings. [DEP] took radiation meters to more than a dozen sites in 2014 as part of a project with [the West Virginia Department of Health and Human Resources] and no harmful levels of radiation were detected." But in 2014 the DEP did take steps to allow municipal landfills to accept gas industry waste. Today that’s what happens to drill cuttings and other solid wastes. They’re separated from household waste but buried in the same city and county dumps. Any liquid that seeps out of those landfills is sent to municipal wastewater treatment facilities. DEP officials say it’s West Virginia’s only option right now. The entrance to the Wetzel County landfill. Trucks line up having come from drilling operations. Be that as it may, the director of the West Virginia Water Research Institute, Paul Ziemkiewicz, wants more definitive information about shale gas drilling waste. Ziemkiewicz says it’s not that nobody knows what to do with this industrial waste. There are tests and procedures that other industries have to use, and states can require oil and gas companies to follow those requirements, too. That’s what Montana does. Drill cuttings in Oaks Disposal, an oilfield waste landfill near Lindsay, Montana. Like West Virginia, Montana has seen large increases in waste from fracking operations in recent years. The gas industry is drilling into the Bakken shale formation in the region. So in 2012 Montanans set up regulations to test and categorize waste where it’s generated - something that doesn’t happen in West Virginia. “There’s monitoring that gets done at the wellhead in the field," explains the Waste and Underground Tank Management Bureau Chief in Montana’s Department of Environmental Quality, Ed Thamke. "They have to present the results of that monitoring to the receiving facility. Then the facility is responsible for monitoring their working face, where the material is being disposed of." Thamke explains that, like West Virginia, Montana does allows municipal landfills to accept drilling waste. "The big question that's still unanswered is whether this stuff is hazardous or not. And if it's hazardous that starts informing what kind of landfill it ought to go into, what standards that landfill ought to be meeting," said Paul Ziemkiewicz. But for the most part, they use separate landfills built by private industry specifically for oil and gas waste. Because of the established disposal requirements, Montanans have some clarity about the solid waste they handle. 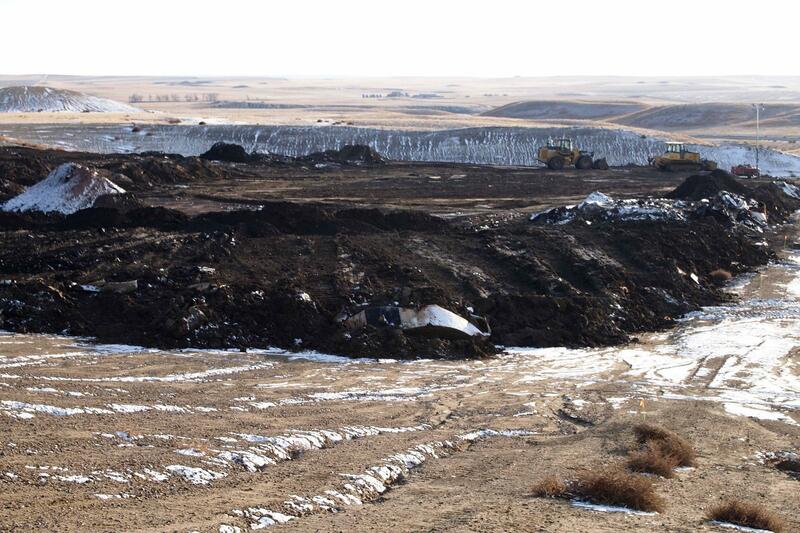 Thamke says solid waste from the Bakken shale formation “is clearly not a hazardous waste”. But in West Virginia, we’re dealing with a different rock formation. We also live in a much wetter environment. That complicates matters because water that passes through landfills collects toxins. Thamke explains that Montana has a much more arid environment than West Virginia, and they actually centrifuge the waste before disposal so that landfill leachate can be avoided. West Virginia easily gets twice to four times as much rain as Montana annually, according to data from the National Oceanic and Atmospheric Administration. Landfills in the state all collect leachate that is not characterized before it’s sent to municipal wastewater treatment facilities (which are not really designed to treat industrial wastewater). DEP recently determined that water leaching from landfills that accept drilling waste is laced with toxins above safe drinking water quality standards. But DEP officials say the leachate is diluted to safe standards when it’s processed through municipal wastewater treatment facilities. DEP is considering changing monitoring requirements at landfills. But any attempts to further regulate oil and gas companies have been less of a priority with the recent shift in West Virginia’s statehouse from democratic to republican control. 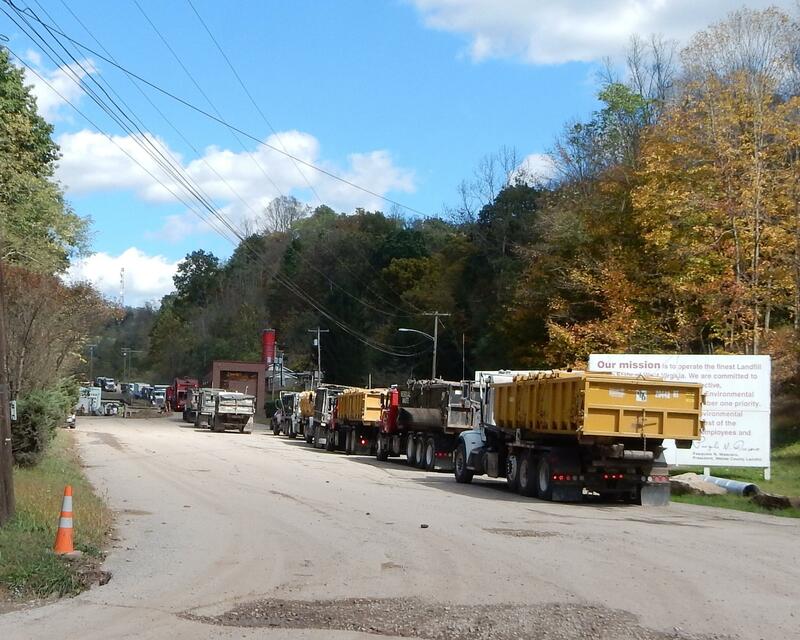 A bill recently introduced in the West Virginia legislature would place into state code a rule allowing Marcellus Shale drilling frack waste material to be disposed of in landfills around the state. Berkeley County Solid Waste Authority Chairman Clint Hogbin expressed serious concerns about landfill capacity and local control. The Division of Environmental Protection has issued a memo that exempts frack waste from tonnage caps authorized for each landfill. How Safe is the Drilling Waste in W. Va. Landfills? On West Virginia Morning, is it safe to put waste from natural gas drilling into municipal landfills? The Department of Environmental Protection says it is, but some people are still concerned about it.